There are many types of pests homeowners may have to deal with, but among the most damaging and troublesome is termites. Termites feed on wood and cause damage to the structure of your home. They often go unseen, however, there are some signs to look out for if you think you may have a termite problem. Learning more about the signs and behavior of termites in the home can help you know when it’s time to call in a professional. Termites are found throughout the United States but tend to like and be found more often in warmer climates. However, termites in the home are present everywhere, so you still shouldn’t let your guard down even if you live in a cooler part of the country. Contrary to popular belief, termites do not only live in wood. While they do feed on wood, there are different types of termites, some of which live underground in the moist earth. In fact, the majority of the termites in the United States are these subterranean termites. Subterranean termites live underground in an organized system. They have foraging tunnels that they use to bring food into the colonies, and each termite has a rank and specific job. Subterranean termites also have a team of termites within them known as “swarmers” that they release in the springtime. The swarmers leave the tunnels and travel to reproduce and make more colonies. One of the most notable qualities of termites in the home is their ability to maintain a low profile. It might be years before you realize that you have a termite infestation. They’ll slowly make their way in through cracks in your walls, floors, and elsewhere. Because they tend to live hidden out of sight, you’ll have to be on the lookout for signs of termite activity in order to notice them. Another distinguishing element of termite behavior is that they like to burrow. 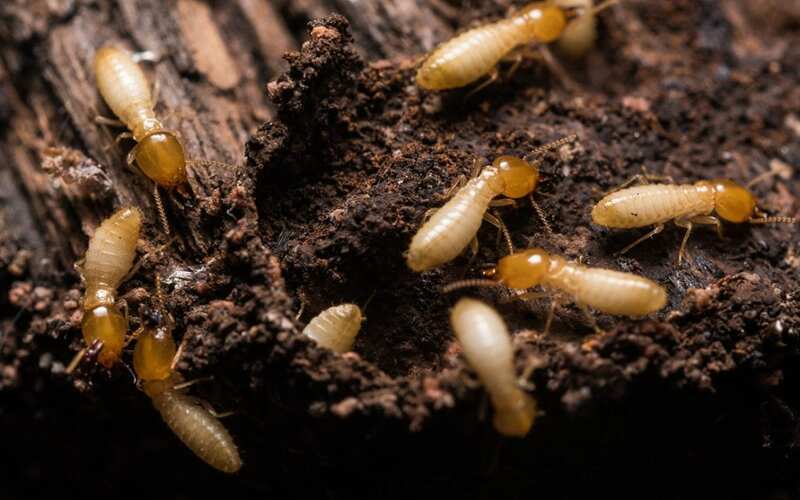 Regardless of whether you have subterranean termites or the regular kind, they will feed on wood from the inside out, which leads to weaker, sagging wood that has a hollow sound when you tap on it. Another tell-tale sign of termites in the home is the evidence of termite wings that have been shed in your home and tiny termite droppings. Termite droppings are more commonly known as frass, and they have the appearance of small pellets that are usually found near the entrance or exit of a termite tunnel or home. Discarded swarmer wings are also a sign that termites have settled somewhere in your house since termites shed their wings once they no longer need them. AAA Home Inspections serves Central and Northern New Jersey with home inspection services and ancillary services such as wood-destroying organism inspections. Contact us to discuss your needs.